QUERY: WHO'S EVER SEEN A GOAT TAG? New subscribers this week include Jeff Burke and Mahdi Bseiso. Welcome aboard! We have 1,591 email subscribers, plus 189 followers on Facebook. This week we open with a note about an important anniversary for E-Sylum readers, updates from two numismatic literature dealers, and four new books about or relating to numismatics. Other topics include dealer Neil S. Utberg, the Columbia Shield, the Brussels Hoard of 1908 and plates in numismatic literature. To learn more about the 1817 Jola, counterfeit half dollar dies, U.S. Mint test dies, Soong May-ling, the Pants of the Future, apes swinging through trees, and telling the Mint to "get bent," read on. Have a great week, everyone! Grow it did, one new reader at a time with help from current subscribers. If you enjoy The E-Sylum please do help spread the word to others you know who share your interest in all things numismatic. Subscriptions are still free to all, and we're available in multiple formats in addition to the basic email subscription. Here's The E-Sylum archive Table of Contents. Explore and enjoy a trip down numismatic Memory Lane! Kolbe & Fanning Numismatic Booksellers have published their 126th sale of important numismatic literature from around the world. The sale features material from several different consignors, including a significant number of lots from the library of the late F. Gordon Frost. The offering of classic 19th- and early 20th-century American numismatic auction catalogues derives largely from Gordon’s collection and is particularly important. Special sections are also devoted to works on British tokens and Russian numismatics, in which quite a few interesting works may be found. In all, the sale features 1092 lots of numismatic publications on ancient, medieval, modern foreign and U.S. numismatics. 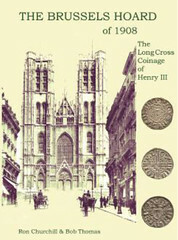 The sale catalogue has been uploaded to the Kolbe & Fanning website, where readers may download it in PDF format at www.numislit.com. Printed catalogues will be sent to active bidders on our mailing list soon. The catalogue features a topical index and is arranged by broad category (Ancient / Medieval and Modern / United States); in addition, two special sections, on Russian Numismatics and on British Tokens, are also included. The mail-bid sale closes on Thursday, October 4, 2012. Phone bids will be accepted until 6 p.m. on that day; voicemail, fax and email bids will be accepted until midnight (all times are U.S. Eastern Time). We look forward to your participation. Kolbe & Fanning are always accepting consignments of important numismatic books for future mail-bid sales: please contact us for details. In addition, we are seeking consignments of outstanding works for our January 12, 2013 public auction at the Waldorf-Astoria Hotel in New York City, held in conjunction with the New York International Numismatic Convention. Interested consignors should contact the Kolbe & Fanning office as soon as possible to discuss including items in this significant sale. 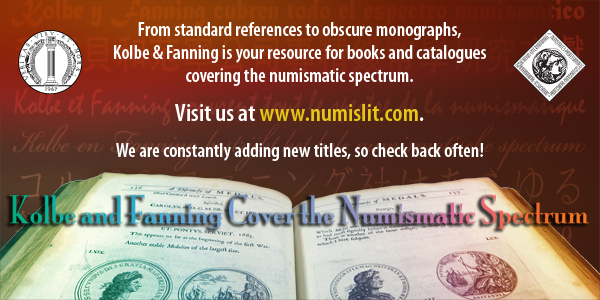 Finally, we have been adding a considerable number of books to our online inventory, which is available for immediate purchase at www.numislit.com. Please take a look at what we have to offer on the website. 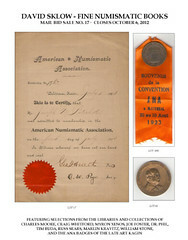 David Sklow – Fine Numismatic Books Mail Bid Sale # 17 closes October 6, 2012. Catalogs have been shipped to all individuals on our mailing list. The full catalog is viewable on our website. Printed catalogs are available on request at no charge. Please find attached details of The Brussels Hoard of 1908, the first part is due to go under the hammer on the 27th September alongside part two of The Bentley Collection. There are also details of the book recently published by Baldwin’s and the British Numismatic Society detailing the study of the British coins from the hoard, undertaken by Bob Thomas and Ron Churchill. Further details of the book and of Baldwin’s other Coinex auctions will be available early next week. On the 27th September this year 101 of the rarest Henry III Pennies from the Brussels Hoard will go under the hammer in London, over 100 years after they were first discovered in July 1908. A. H. Baldwin & Sons Ltd is delighted to be offering these coins for sale in celebration of the publication (jointly by Baldwin’s and the British Numismatic Society) of the definitive study of the hoard, written by Ron Churchill and Bob Thomas. Found in Brussels by a group of workman engaged in pulling down an old tavern during construction of the main railway line through the centre of the city. The uncovered hoard totalled over 140,000 English, Scottish and Irish pennies and continental coins. The original reports recorded the site of discovery as being 32 and 34 Rue d’Assaut which, at the time, was occupied by the café-hôtel-restaurant A l’Assaut and basked in the shadow of the striking Cathedral of St Gudule and St Michael. The coins were concealed in a large container which had been placed in a bricked-up vault beneath a water cistern in the basement of a stone house on the site of 32 and 34 Rue d’Assaut. At the time the owner M Coenegracht said that the container crumbled into dust as soon as it was touched but it had the shape of a round upside-down dish (couvercle). It was found under an ornamental tiled floor during the demolition of the wall of an old tank constructed in the solid arch or vault. Through the foresight of a prominent Belgium coin dealer, Charles Dupriez (and later Albert Baldwin, grandson of Baldwin’s founder) that the “English” portion of the hoard was kept intact for detailed study. The coins were sold en-bloc in 2 lots at auction 99 of the auction house of Charles Dupriez in Brussels in October 1909. Lot 1372 from that auction contained 80,927 English, Scottish and Irish silver pennies. The purchase of lot 1372 by Albert Baldwin has now the aura of a fable. It is said that a thick fog descended over the English Channel the night before the auction which delayed potential buyers. 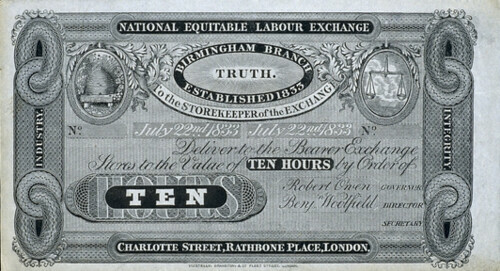 This left the field almost exclusively open for Albert Baldwin and he returned to London the owner of the vast majority of the English coins for a sum of 15,250 francs (plus a commission of 10%) then equivalent to about £9,000. Lot 1373 contained around 55,000 continental coins; sold to another bidder these coins were sadly melted down after initial identification. Over half the English portion of the Hoard has provided a worthwhile subject for study and, in total, some 55,000 English coins have been analyzed. The results of this study have been published in one volume, entitled, The Brussels Hoard of 1908. Written by ex-Whitehall civil servant and historical devotee, Ron Churchill and retired banker and numismatist, Bob Thomas the book has proved to be a true labor of love. Over 12 years in the making it has involved hundreds of hours work by two dedicated enthusiasts. It will however, prove to be the new reference work on Henry III coinage for generations of numismatists. The book includes details of the discovery of the hoard and its subsequent history as well as considering the likely date of deposition and a detailed analysis of the individual coins extant at the commencement of the study. Building on this analysis the authors have attempted to update the classification of the long cross series of Henry III whilst introducing a new element to this classification. 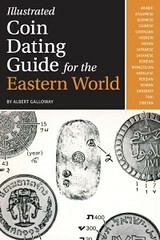 Krause Publications has re-released the Illustrated Coin Dating Guide for the Eastern World. With this book, collectors, dealers and researchers can learn how to identify inscriptions and determine dates on eastern coins. With many images, charts and conversion tables, this book provides the user with all of the resources needed to identify eastern coins. This book is for the collector looking for in-depth information on identifying coin inscriptions and recognizing and dating eastern coins. 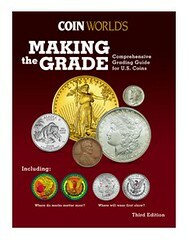 Coin World’s book Making the Grade is now available in an expanded, third edition. The book is a visual guide to grading more than 80 series of U.S. coins, written by Beth Deisher in her last project as Coin World editor before her retirement in April. 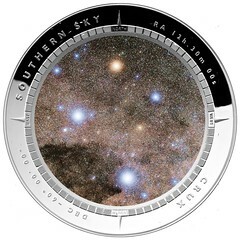 The third edition is an expansion of the 2008 second edition, both in the number of coin series covered and in physical dimensions. The new edition of the book covers more than 30 new series not found in the second edition (which offers 50 series), with the majority of the new chapters focusing on 18th century and early 19th century coin series, as well as the latest series of 21st century coins. In addition, the new book is physically larger than the previous edition, measuring 8.5 inches by 11 inches, compared to 9 inches by 6 inches for the second edition. A history is provided for each series, often including its design development and often featuring a discussion of grading peculiarities distinctive to the series. Color-coded maps (developed by James Halperin of Heritage Auction Galleries, who is widely recognized as one of the best coin graders in the hobby) detail the critical areas for marks on a coin. The color maps help readers identify the areas on a particular design where a contact mark or other damage will most affect the value. Other images (developed by longtime ANACS grader and authenticator Michael Fahey) detail the high points of each design. The high points maps illustrate the first areas to exhibit wear and are designed to help collectors distinguish between About Uncirculated and Uncirculated coins. 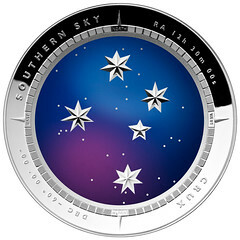 Large, color, obverse and reverse images of the coins in multiple grades are provided, generally from low grades to multiple levels of Mint State (some modern series that do not circulate, such as bullion coins, or do not circulate widely, such as Presidential dollars, are represented only by Mint State examples). Readers can compare their coins to the images in the book and determine the grades. Grading descriptions for each pair of images help further distinguish individual grades. 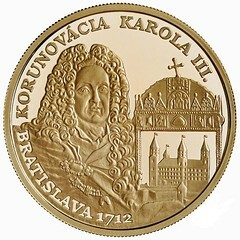 The third edition features more than 80 different series of circulating and bullion coins, capturing the vast array of coins from the 1793 Flowing Hair, Chain cents to the America the Beautiful quarter dollars (including the 5-ounce silver bullion versions) and First Spouse gold bullion coins. 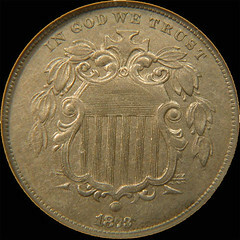 Among the dozens of U.S. coin series not featured in the second edition that have been added are Liberty Cap, Right and Draped Bust half cents; Flowing Hair, Liberty Cap and Draped Bust cents; the Bicentennial and Union Shield designs of Lincoln cents; Flowing Hair and Draped Bust half dimes; Draped Bust and Capped Bust dimes; Draped Bust and Capped Bust quarter dollars; and America the Beautiful quarter dollars. Other new series include Flowing Hair and Draped Bust half dollars; Flowing Hair dollars; all three series of gold dollars; five series of $2.50 quarter eagles; gold $3 coins; all four series of half eagles issued before the Coronet series; and Capped Bust and Coronet eagles. Modern bullion coin series new to the third edition are the America the Beautiful 5-ounce silver coins, the First Spouse gold coins and the American Buffalo gold coins. 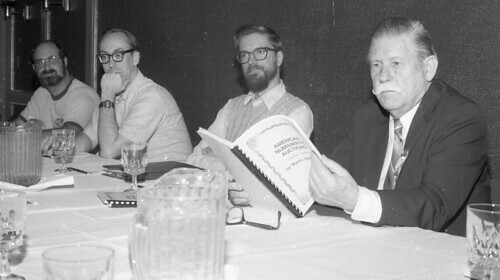 Also contributing to the book were Fahey, who provided the grading for each series; Coin World news editor William T. Gibbs, who was coordinating editor for the book and wrote some of the new grading descriptions; Fern Loomis of the Coin World editorial staff, proofreading and fact checking; and Cinda McAlexander, designer of the book. The book has a retail price of $39.99, but is available from publisher Amos Hobby Publishing at a pre-introductory Amos Advantage price of $24.99. After Aug. 31, the Amos Advantage price will be $29.99. In recent times I have been busy with Whitman Publishing Company in the writing of The American Bison: A National Treasure. Except for Buffalo nickels, minted from 1913 to 1938, the $10 1901 “Bison” note, and seeing a few animals at zoos, I did not know much about this creature – the largest wild mammal in North America. After delving into the subject I found they have a rich and illustrious history. 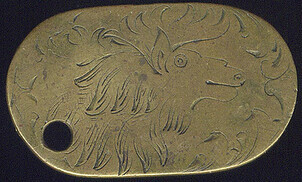 To this information I added many other numismatic bison – one on the seal of the Buffalo (New York) founded in 1937, another on a Society of Medallists’ issue, two more made by the Medallic Art Company, a rare Civil War token depicting a bison, and enough other things to fill out a full chapter. Then I explored towns and counties with Bison or Buffalo in their names, quite a few it turns out, mostly of low population (except for Buffalo, New York), and all of them interesting. Beyond that I enlisted the talents of my long time friend and co-author in another field, Dr. Kathryn Fuller-Seeley, who contributed information on the bison in popular culture. We have professional sports teams, college teams, consumer products, aircraft, road equipment, and others – including a relatively new chain, Buffalo Wild Wings. Wow! After complete bison immersion I feel like I can get up on the proverbial soapbox and talk about bison for an hour non-stop. The book will be released soon by Whitman, popularly priced, and should be for sale nationwide. If you acquire a copy I think you will enjoy reading it. The Whitman Publishing website will announce when they are available. Want to host a book signing during the National Money Show? The ANA’s Dwight N. Manley Library wants to highlight numismatic authors and literature during the National Money Show, Oct. 18-20 in Dallas. If you’ve written a numismatic book in the past few years and would like to host an author signing at the ANA Area, the library would be happy to arrange it. Author signings will be promoted in The Numismatist, in the show program, on www.nationalmoneyshow.com, through email blasts to members, on the ANA’s social media sites and other areas. Slots are available Thursday through Saturday. If an author intends to sell their books during the signing, they must supply their own stock. For more details or to sign up, contact Library and Communications Director RyAnne Scott at 719-482-9867 or scottmoney.org. Please respond by Sept. 14. DAVID SKLOW - FINE NUMISMATIC BOOKS offers Mail Bid Sale No. 17 on October 6, 2012, including: Very rare "Spanish American War" crossed color flags envelope, The Numismatist, Monroe, Mich. www.finenumismaticbooks.com. PH: (719) 302-5686, FAX: (719) 302-4933. EMAIL: numismaticbooks@aol.com. USPS: Box 6321, Colorado Springs, CO. 80934. 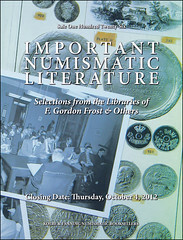 Contact me for your numismatic literature needs! Regarding books on a single medal, while not as detailed as the Lusitania book probably is, consider The Waterloo Medal: An Address Before the Numismatic and Antiquarian Society of Philadelphia by Isaac Myer, B.L., Philadelphia 1885. Regarding your mention of the availability of the Secretary of the Treasury's Annual Reports on-line at the St. Louis Fed's website: This is a great resource, especially for the more recent Reports. However, even though the reports are very useful (and include the Reports of the Director of the Mint and the Controller of the Currency) I should point out that the Mint Annual Reports that are included with the Secretary of the Treasury's Reports are not infrequently incomplete - they are usually missing all or some of the supplementary tables. I recommend that anyone interested in the Mint Annual Reports seek out other digital sources, such as HathiTrust, for complete versions. Regarding the "medal" issued to commemorate the last Canadian cent, I thought when I saw the image that either the wrong image was used, or the piece is not really a medal - it's denominated. But I see the Canadians themselves call it a $20 coin. But how would one ever know what is being commemorated? They devote lots of space to telling us it's .9999 fine silver, and not a word about the cent. 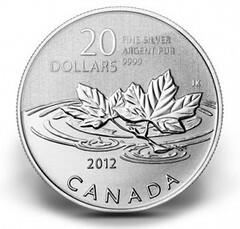 Sure, it shows maple leaves (as the cent does) - so do lots of other things Canadian. As a commemorative, it's a failure. The "RBI" mentioned in the article about the Indian coin shortage is the Reserve Bank of India. P.K. Saha forwarded several coin images this week. Here are a couple I'd like to comment on. 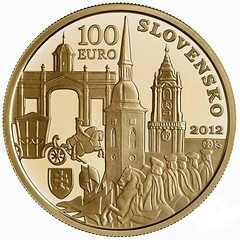 Slovakia will issue this 100 Euro coin in Dec 2012 There's a lot of design clutter here, with so many different elements squeezed in to each side of the coin. From this image the artist seems to pull it off pretty well, but I wonder what these will look like in person. Call me simple-minded, but I like uncluttered designs with single themes. As to the Alones, photo, it was taken at the 1988 Grand Central show. The un-named bearded fellow is of course NOT David Ganz. Any change in her yet? He's one of my favorites. One of Borges' short stories, "The Zahir" (a term from Islamic folklore), is actually about a coin--an ordinary Argentinian 20 centavo piece--that has the particular property of creating an all-consuming obsession in the person who happens to gaze upon it. In this story Borges also meditates on the significance of other famous pieces of money (Charon's Obol, Ahab's Doubloon). This short story can be found in a number of collections, including "Labyrinths" and "Fictions". Enjoy it if you haven't yet had the opportunity! Germany. Nordlinger. 1650. Klippe Silver Medal or 1/8 Medallic Taler . Noah’s Ark, dove flying left with branch above. 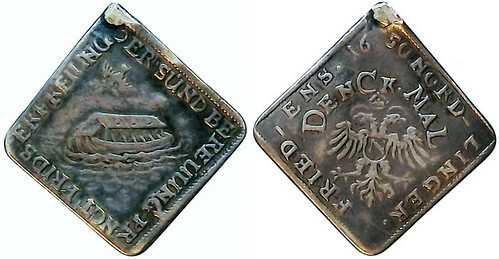 Crowned double eagle with Nordlinger coat of arms. Struck for the Peace of Westphalia. 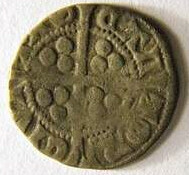 Pax in Nummis-1154, Similar to Fr-1796 in gold. VF, mount removed. I thought readers would enjoy seeing an unusual piece that Tom Kays & I are "butting heads" over (Tom's trying to flim flam me again, and he'll probably succeed). 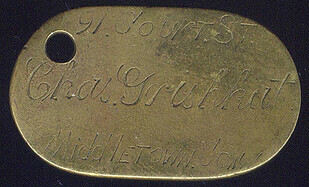 I Googled the name and came up with someone living during the early 20th century, but the street address was different. This looks 19th century to me - its either copper or brass & about the width of a silver dollar. Tom says that it's the only "goat tag" he's ever seen, which makes it not worth very much (Tom's logic is sometimes self-serving :-). I'm wondering if anyone else out there in the vast E Sylum universe has seen another. If they have, please don't tell Tom. "Look closer! It's got a picture of a kitty cat!" 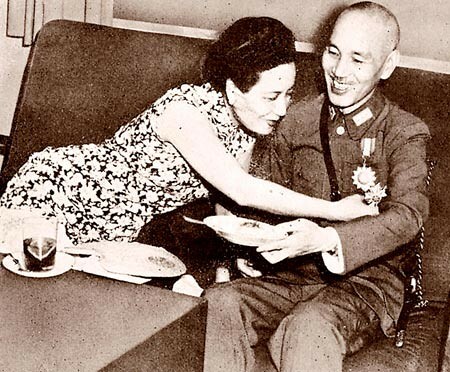 A medal presented to late Republic of China leader Chiang Kai-shek in 1930 went unsold at an auction in Hong Kong Friday amid controversy over its authenticity. The item on sale, the Order of Blue Sky and White Sun with Grand Cordon, was reportedly the only one among the more than 200 such military decorations that was awarded to Chiang and inscribed with characters meaning "Special One." Anna Lee, who presided over the Spink & Son auction, brushed off the failure to find a buyer, saying it was not uncommon for auction houses to not sell collectibles on offer. Asked if pricing was to blame, Lee said the floor price of HK$2.8 million (US$360,000) was relatively low given an earlier estimate of the medal's worth at between HK$3-5 million (US$387,000-$645,000). Lee also dismissed the link between doubts over the authenticity of the medal and the failure to draw a bid, and reiterated that the medal was genuine. Conflicting claims over the authenticity of the medal were raised before the auction, with Taiwan's defense ministry saying the medal given to Chiang was buried with the late ROC president in Taoyuan in 1975. Nearly 50 years after unearthing artifacts near the Rio Grande, a North Texas collector has sold a rare 1817 Spanish coin produced in San Antonio for $52,875. 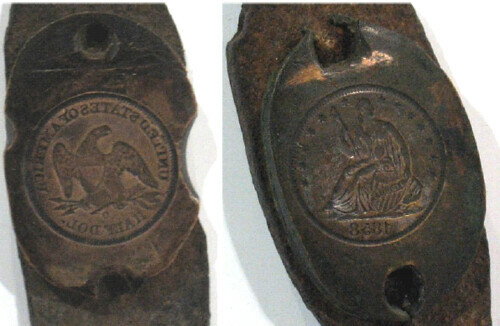 The tiny Spanish jola, used by citizens of New Spain, is a precious remnant of the period after much of San Antonio's population was wiped out, and the first Texas republic crushed by Spanish royalists, in the 1813 Battle of Medina. The coin was made four years before Mexico seized independence from Spain, and 19 years before Texas won independence from Mexico. “San Antonio was on the frontier, and the people were as poor as church mice. There was a lot of bartering, but they needed a way to make small change,” said Bob Shelton, a 72-year-old retired jeweler in McKinney who has hunted for artifacts since he was 15. Lately, Shelton has been recounting the story of the Spanish coins minted in San Antonio. Manuel Pardo, acting governor of New Spain, chose a local merchant, Manuel Barrera, to make copper jolas, worth 61/4 cents — half a real. “Barrera probably found out it was not an easy job,” Shelton said. The process was primitive, using a steel die, or mold, to strike an imprint on the blank copper planchet with a hammer. The dies wore out quickly, Shelton said. In December 1818, Pardo's successor, Antonio María Martínez, the last Spanish governor of Texas, recalled the Barrera coins, which were replaced by an 1818 series. 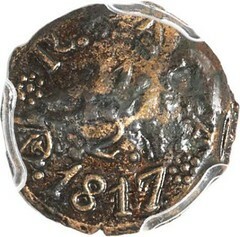 The jolas are the only Spanish coins known to have been made in what now is the United States. About a year ago, Shelton met a collector who had a similar coin and had learned of its origin. Through Heritage Auctions, which sold Shelton's jola to an anonymous buyer in a Philadelphia auction on Aug. 5, he had the coins certified by the Professional Coin Grading Service. Hong's jola sold the same day for $25,000. Shelton said his last 1817 jola will be sold at an Oct. 18-21 auction held by Heritage in Dallas. It is one of about 10 known to be in existence, compared with about 80 from 1818, he said. Dozens of them were found by the San Antonio River in a 1959 city excavation. There are still mysteries that surround the 1817 coins, including the reason they were recalled, and the symbolism of a six-pointed star or flower on the back. But Hong said they're important relics from a time when the winds of revolution were blowing. “That's a good bit of history for San Antonio,” Hong said. The U.S. Mint is using modified Martha Washington and Mount Vernon designs on dies for current testing of alternative alloys for the composition of the nation’s coins. 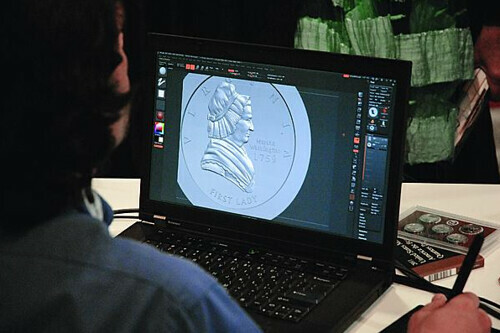 At the U.S. Mint booth at the American Numismatic Association’s World’s Fair of Money in Philadelphia in August, U.S. Mint Medallic Artist Joseph F. Menna had displayed on his laptop screen an image of a Martha Washington test die obverse design he created several years ago for testing. That image is illustrated with this article. According to U.S. Mint spokesman Michael White Aug. 16, Menna’s Martha Washington design is not the design being used to produce dies for the current alternative coin compositions research. Menna’s creation, according to White, is a digital design that differs in execution from the old Martha Washington obverse first used for compositional test strikes under provisions of the Coinage Act of 1965 and used later for testing alloys in 1999 for the Sacagawea dollar. Menna’s Martha Washington obverse design features a portrait of the first lady facing right, with VIRGINIA along the top border, FIRST LADY along the bottom border, and in the field in front of the portrait in three lines, MARTHA / WASHINGTON / 1759. Mint officials have used Martha Washington and Mount Vernon designs on “nonsense” dies produced for experimental striking for nearly 50 years. The original Martha Washington and Mount Vernon designs, used on dies for metallurgical die trial testing and research in 1965 and 1999, are the work of U.S. Mint Sculptor-Engraver Edward R. Grove and U.S. Mint Sculptor-Engraver Philip Fowler. Grove, a sculptor, medalist and bank note engraver, was a close friend of Chief U.S. Mint Engraver Gilroy Roberts. Roberts convinced Grove to accept a vacancy on the Mint’s engraving staff at the Philadelphia Mint in 1962. Grove left the Mint’s employ to pursue a freelance career soon after executing the Martha Washington designs. Fowler is credited as the artist for the Mount Vernon reverse used in 1965 and 1999. Examples of experimental test strikes from the 1965 and 1999 research have entered the marketplace. "Charge it to Miguel," I told the barista after ordering a cappuccino, and charge it he did -- to my phone. Not that I ever pulled my iPhone from my pocket. 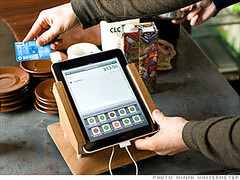 Seconds after the barista tapped my order on Grumpy's minimalist register -- an iPad mounted on a stylish countertop stand -- my phone vibrated in my coat pocket, signaling that our transaction was complete. I couldn't wait to check that everything had worked as promised. (It had.) For the first time ever I was tickled by the act of paying for something. These are telltale signs that the mobile-payments revolution has arrived. But what the glowing profiles of Dorsey -- he's often compared to Steve Jobs -- and the breathless predictions about your phone replacing your wallet don't tell you is this: Changing the way Americans pay for stuff is going to be really hard work. For starters, retailers and their partners will have to offer mainstream shoppers some pretty sweet perks to get them to replace a swipe of a plastic card with a tap of a phone. Then there's the chicken-and-egg problem: Merchants don't want to upgrade pricey point-of-sale terminals so that they can work wirelessly with smartphones unless e-wallets become mainstream, and e-wallets won't become mainstream until consumers can use them just about everywhere. Yet once these issues are sorted out -- and with so many billions at stake, they will be -- cash will find itself on the endangered-species list. Paying by phone will be as transformative as the advent of the credit card in the 1950s. One of my other interests is the history of science and technology, and what Helft says rings true. Technological revolutions always take much longer than their early proponents predict, and the landscape is littered with the corpses of good ideas that failed. People need to get used to new ways. Businesses and regulators have to work out the economics and rules. Whole new systems have to be built to accommodate the new ways. And nothing works smoothly. Until all of a sudden, it does. As more and more pieces of the puzzle come into place, we are getting closer and closer to the ultimate tipping point. And when that day comes, change will happen seemingly overnight. Remember the deluge of America Online disks that heralded the arrival of the Internet? Well, the Internet had been around for a decade and average people paid no attention. Then all of a sudden everyone and their grandmother was on board. It will be the same with the cashless society. Coins and banknotes won't disappear overnight, but their fate will be as sealed as that of the U.S. Postal Service. Gradually, inexorably, the demand for them will shrink. 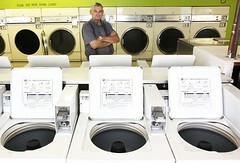 Will the pants of the future even have pockets to jingle the remaining coins in? 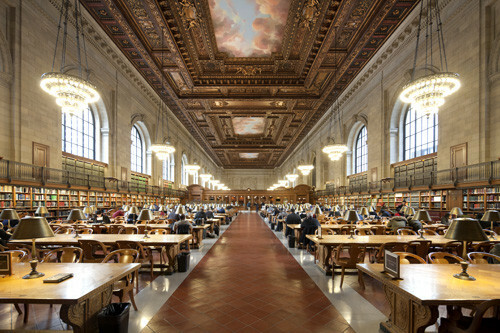 Sometime last year, the New York Public Library (NYPL) retired its pneumatic-tube system, which had been used to request books for more than a century. This change was made without ceremony or fanfare; I learned of it unexpectedly, when I walked into the catalog room prepared to deliver a call slip to a clerk behind a large wooden desk, only to find a notice directing me elsewhere. For a few moments, I stood there, unmoored, before moving along as instructed. That pneumatic call system had changed little since the library’s opening in 1911. You still filled out a slip, and you still turned that slip over to a clerk, who would load it into a metal cartridge. With a slurpy shoomp, the cartridge would be driven by air pressure to a station down in the stacks, where another clerk would retrieve your book, which was then sent back up to the call desk by a dumbwaiter. In recent years, this procedure would take about 20 minutes. In decades past, I’m told, it was closer to five. One could hardly contrive a more blatant metaphor for the uneasy shift, in the world of letters, from the physical to the digital. The very future of the book, and the printed word in general, is uncertain. We’re at a moment of profound change in the way we consume information, and that change is shaping the kinds of information we value. It is also shaping the spaces in which we consume information. How does one even begin to think about designing libraries in a time of rapidly developing technologies and shifting programs? To put things a bit more simply, the book—the object that, for so long, defined the library—is no longer its primary focus. Indeed, as content is increasingly digitized, one might ask whether the library is even a viable building type for the future. “My guess is that most libraries will cease to exist,” says David Bell, a professor at Princeton’s Department of History who writes on the subject. “People who love the physical book will see this as one of the great moments of barbarism in history.” Most susceptible are smaller libraries—in high schools, for example—that might easily be replaced by electronic workstations. Library space may be hard to justify when the content of a quarter of a million books fits onto a chip that you can slip into your pocket. The NYPL’s pneumatic-tube system may have been well past the age of retirement when it was finally put to rest last year, but it’s worth keeping in mind that, even on its last day, after a hundred years of service, it still got you the book you called in 20 minutes. If administrators have their way, the library’s new, high-tech delivery system will accomplish that same task, and do so without the need for old-fashioned call slips or antiquated metal tubing. It just might take 20 hours. I am looking for information on coin dealer and numismatic author Neil S. Utberg, who was active in Mexican numismatics mainly out of Edinburgh, Texas. Some time ago, I read that Mr. Utberg left the field disappointed in the late 1960s or early 1970s after having been robbed. Is there anybody in The E-Sylum readership who happens to remember him? In the death notices in today’s Washington Post, see “Funger” - William Scott Funger (age 54) of Potomac, MD. His notice includes this: ”Scott’s passion for collecting rare coins and numismatics began as a young boy and continued throughout his life. His collections were sold at major auctions throughout the US but he mostly loved finding small collectors and talking with them about coins….” The notice mentions his survivors and provides the name of his Labrador first, before his wife and kids. My kind of guy. I never met him but I wonder if any E-Sylum readers knew him? Linda Scotland was with her dogs at the Cape Neddick River in June 2011 when something caught her eye. "I always see broken shards of pottery along the river," she said. "That day, I was just sitting on a dinghy and staring at the sand, when I saw something that looked like a bit of pottery." She picked it up and thought she had found a small religious medal. "I showed it to my neighbor who's British," Scotland said. "She said it might be a coin." Emerson "Tad" Baker, a professor of history and historical archaeology at Salem State University in Salem, Mass., and a resident of York.... e-mailed images of the coin to Barrie Cook, curator of medieval and early modern coinage at the British Museum in London. 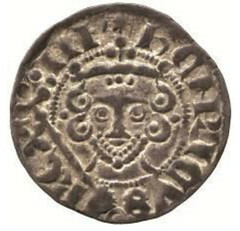 Cook responded that while the "image is rather murky," the coin looks, from the shape of the crown, to be a penny of Edward I/II, circa 1305-1310, Canterbury mint. The coin was found on the shoreline amid the remains of a wharf that dates back at least to the mid-19th century — and very possibly back to 1649 — when this land was first granted to three Englishmen, he said. This included the right to build a stage — or wharf — for their fishing operation. Scotland gifted the coin to the Museums of Old York this spring. "It is fun to try and imagine how the coin ended up here," she said. By the mid-17th century, there was a busy working waterfront, where it would have been easy for someone to drop a coin, Baker wrote in his report to the Museums of Old York. "Indeed, the site of the home of one of the three fishermen is only a couple hundred feet away," he wrote. The best alternative to someone dropping an old, but only moderately circulated coin is the possibility the coin arrived with construction material for the wharf, through ship ballast. "Ships often gathered up piles of rock and sand in harbors and deposited them in their holds to make up weight for a light cargo," Baker said. "While it is an unusual find, such isolated early coin finds are not altogether unknown. Indeed, a Roman coin was found many years ago on the coast of Maine. It probably arrived here via ballast." Psychologist Angels Corcoles recently taught a seminar about self-empowerment for women, and when she finished the organizers handed her a check with her fee. The amount was in hours, not euros. But Corcoles didn’t mind. Through a citywide credit network that allows people to trade services without money, the 10 hours Corcoles earned could be used to pay for a haircut, yoga classes or even carpentry work. At a time when the future of the euro is in doubt and millions are unemployed or underemployed with little cash to spare, a parallel economy is springing up in parts of Spain, allowing people to live outside the single currency. In the city of Malaga, on the country’s southern Mediterranean coast just 80 miles from Africa, residents have set up an online site that allows them to earn money and buy products using a virtual currency. The Catalonian fishing town of Vilanova i la Geltru has launched a similar experiment but with a paper credit card of sorts. It implements a new currency worth slightly more than the euro when it is used at local stores. In Barcelona, the country’s second-largest city after Madrid, the preferred model is time banks, which allow people to trade their services in hours without the involvement of money. “This is a way for people who are on the fringes of the economy to participate again,” said Josefina Altes, coordinator of the Spanish Time Bank Network. Similar projects are popping up in Greece, Portugal and other euro-zone countries with troubled economies. While each social-money project has its own accounting rules, the basic concept is the same. You earn credits by providing services or selling goods, and you can redeem the credits with people or businesses in the network. Many of the time banks operate like real banks — with individual accounts, ledgers, checkbooks and, in many cases, even auditors. Some conduct transactions with physical checks and are overseen by a secretary who keeps track of deposits. Others exist solely on the Internet. The regulatory rules forbid the employment of anyone convicted of a crime involving dishonesty, breach of trust or money laundering. Before the guidelines were changed, banks widely interpreted the rules to exclude minor traffic offenses and some other misdemeanor arrests. 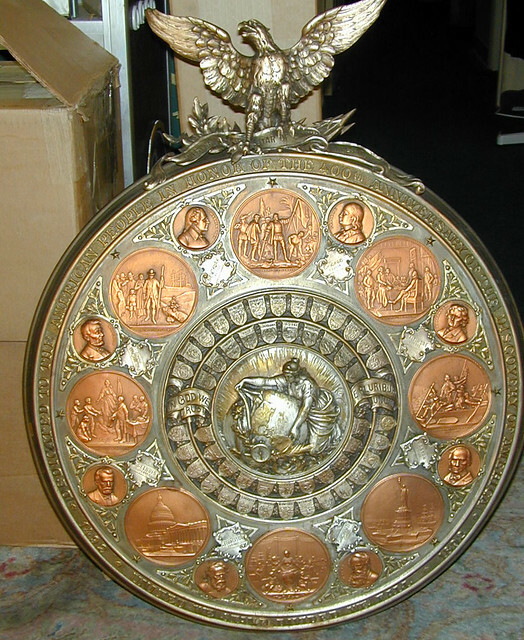 Suggested by David Lange, this week's Featured Web Page is ShieldNickels.Net, an educational website devoted to the U.S. Shield Nickel of 1866 to 1883. Thanks!